This is basically a cross between a proper test, to see if you can get as many right as possible and impress your friends, and an excuse to have a bit of a joke about the Golden Age of Computing. I cannot claim that all of the following is my own work any more, unlike the original, since I have added some of the bits that were posted to the newsgroup in reply to the original. However, if you find something funny, it is probably mine ;-). Are you a true Spectrum User? In order to prove that you lived through the Golden Age of Computing, you must answer the following questions correctly! Only then are you worthy to post to comp.sys.sinclair! 1 - You will know what colours the numbers 0-7 correspond to. 2 - You will know how to delete on a rubber-key spectrum. 3 - You can name at least four types of Sinclair Spectrums (none after Amstrad). Forget those Timex ones. Spectrum 16k, Spectrum 48k, Spectrum+, Spectrum 128. What kind of idiot would put ZX-81 eh? (Gulp). 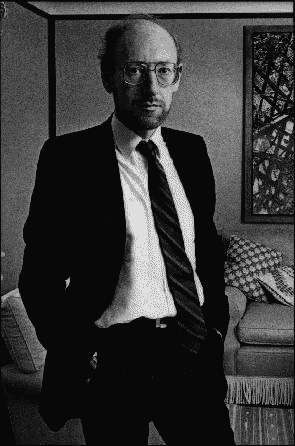 4 - You always remember that it is SIR Clive Sinclair. Although many people also call him Uncle Clive. Miner Willy - Jet Set Willy 1 & 2, Manic Miner. The Wallies - The Wally games. 6 - You know the dual functions that the Space Bar had. 7 - You can spell UNDERWURLDE, NONTERRAQUEOUS and SKOOL DAZE correctly. Err.... I'm not worthy. But I do know the WRITETYPER cheat. 9 - You can't stand the keyboards on the Spectrum+ and Spectrum 128. And the keys keep dropping out. 10 - You know what Mastertronic "MAD" stands for. Mastertronic Added Dimension. You got a separate game on side 2. Guaranteed to be played only once. 11 - You can make the sound that the Spectrum makes when it is loading. Beeeeeep Bip. Beeeeeeeep bfgkjhfgkhfdgfgkljsgkjg.... Miss out the third Beeeeeeep when impersonating speedlock. Another test is to recount all the places (except for a room with a Spectrum in it) where you have heard it: Star Trek - The Voyage Home? No, actually, but close enough. 12 - You will know every Spectrum game ever written. 13 - You will know which number keys corresponded to the cursor keys. although even more important is to actually be adept at using them. A rare skill in itself. 15 - You prefer to use the keyboard rather than a joystick for arcade games. Except for the Ultimate keyboard layout. 16 - You can name at least five dedicated Spectrum magazines. 17 - You know NEVER to plug a peripheral into the edge connector when the computer is turned on! Or unplug one for that matter. 18 - You know how to select the extended keywords. Caps-Shift and Symbol shift, and maybe then cap-shift again depending on your mood. 10 PRINT "hello hello hello"
And you were dead impressed with it. So much so that you typed it in every time you went to Dixons. 21 - You know that if you type in a program from a book or magazine, it will never actually work, but you still try it anyway out of curiosity. 22 - You always say "enter" instead of "return". 23 - You know the two pieces of music that play during the title screen of Manic Miner, and the in-game music of Jet Set Willy. "The Blue Danube", and "If I was a Rich Man". FWIW, "Hall of the Mountain King" was played during Manic Miner, but I wouldn't expect you to know that, cos I didn't. 24 - You know the difference between a K cursor, L cursor, G, C, and E. Were there any more? If you're a real pedant (like Richard Hallas), you'll say that the '>' which points to the current line in the Basic listing was known as the program cursor, so should really be included in the list. 25 - You develop loads of superstitions when trying to load a game successfully. These include not leaving the room, walking on tip toes around the computer, trying to get the tape recorder as far from the TV as possible to reduce any interference, disconnecting the one lead (ear or mic?) that you didn't need to use when loading, and even turning the TV off while loading (and dreading it when you turned it back on again) and finally sacrificing a live chicken in the name of the Devil over the top of the computer while it was loading, letting the blood drip from its neck onto the keyboard. What? Was I the only one? 27 - Your Spectrum software collection includes at least two C90's full of pirated games. Come on! We all did it! And those Ocean games were a pain weren't they (I seem to remember)? 28 - You remember the Horizons tape that came with a Spectrum. A game of Thro' the Wall anyone? 29 - You know where the name "Namtir" in Namtir Raiders came from. Namtir = Ritman (backwards). Jon Ritman wrote it, a common poster to the group. 30 - You know the four colours making up the stripe on the bottom-right corner of a rubber-key. Red, yellow, green and blue. I think. 31 - You still wonder what a Quirkafleeg is, having missed the posts to the newsgroup regarding it. The act of lying down with deal animals and making a prat of yourself. 32 - (At least once) in 48k Basic you filled the screen with the keyword RANDOMIZE, just to see how far it will go, and what happens when the maximum is reached. 33 - You can name at least three different types of joystick. Not Amstrads funny joystick configuration. 34 - You know exactly what someone means when they say "The Wally Games". 35 - And also "The Horace Games". 36 - You still remember the giant (for the day) packaging that Beyond used to put their games in. And it would never close to the way it was when you first bought it. 37 - You can reel off from memory all the "features" that Ultimate used to put in the instructions of their games. 38 - You still wonder what Attack of the Mutant Zombie Flesh Eating Chickens from Mars (starring Zippo the dog) was actually like. 39 - You still avidly read all your old computer mags, and reminisce about the good old days when games were playability. Isn't it excellent that nowadays you can read all the old game reviews, and if you like a game you can just log-on to an ftp site and download it? 40 - You know how to get out of the Goblin's Dungeon (and you know what people are talking about when they ask you). 41 - You've sprayed your PC black in memory of the Great Machine. 43 - You knew at least one trick to do on a Spectrum that was on display in a shop, to fool the sales assistant and any passing kids. 44 - You can name the following companies "Budget" labels. Err, I've run a bit dry there. 45 - You still suffer from "Daley Thompson Finger" after playing too many games of Decathlon. A common problem among speccy owners, with the major symptoms being sore fingers and two knackered keys on your keyboard. There is also another similar virus around called "Daley Thompson Joystick" which normally has the symptoms of a sore wrist (oo-er) and a knackered piece of plastic plugged into your computer. 46 - You reset the computer by pulling the power lead out. It was always the quickest way. Well, it used to be anyway. Now you have to climb over your computer just to get to it. 47 - You know what ALL Spectrum games have as their final message when you complete them. 48 - You haven't completed The Hobbit. Yes, in the entire world of the Spectrum User, no-one has actually completed this game*. So if you say you have, you are obviously lying. * This is a guess actually, but I've had hundreds of tries and got nowhere. It's too bloody hard! Well that was good. Here I am asking other people to prove they are true Spectrum users and I probably got half of them wrong myself. Oh well, hope you liked it. Feel free to reply to me with your comments and additions (unless you're Richard G. Hallas ;-) ), or have a look at my other pages. Spectrum users prefer the feel of rubber.